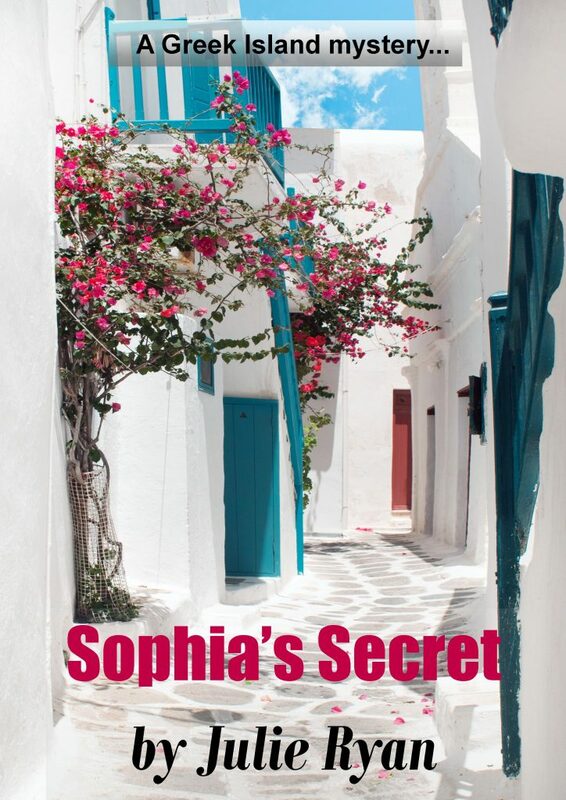 Sophia’s Secret is the second book in the Greek island mystery series but can be read as a standalone. I never intended to write a series but having created the setting in Jenna’s journey, I was reluctant to leave it alone. 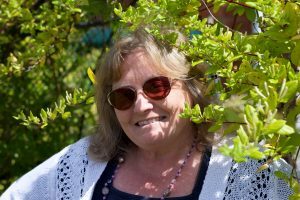 My books, whilst always having romance at their core, deal with the dark side of Greece that tourists rarely see so be prepared for murder and suspense too! Kat has never understood why she was sent at the age of seven from Greece to live in England with her Aunt Tigi. When she receives an email from her grandmother, the first contact in over twenty years, informing her of her mother’s death, she knows this could be her last chance to find out the truth. Little by little she finds out the shocking facts as her grandmother opens her heart. It seems everyone has a secret to tell, not only her grandmother, as Manoli, her school friend, also harbours a guilty secret. Then there’s a twenty-year-old mystery to solve as well as a murder and what happened to the missing Church treasure? The boy knew he shouldn’t be out so late on his own but a dare was a dare! His best friend, Vasilli, had dared him to meet up at midnight in their den in the woods. He’d been so excited he could barely sleep. His mother had come to tuck him in—not that a boy of nearly eight needed tucking in he’d reminded her as they went through the usual nightly ritual. Then when she’d gone, he forced himself to stay awake until he heard his parents come back up the stairs to their room. He waited for the light to go out and gave it a few more minutes to be on the safe side. The luminous watch that he’d asked for on last birthday was showing nearly 11.30. There would be plenty of time to get there. He peered out of his bedroom window. It was dark out. There were no streetlights in his village. It was lucky that he’d remembered to pack a torch. He crept silently down the stairs, careful not to wake either his parents or the sleeping twins, put a jacket on over his pyjamas, slipped his trainers on and spying the fruit bowl on the table, put a couple of apples in his pocket in case he got hungry. The gang had built the den during the long summer holidays when they were allowed to play out until late provided that they told an adult where they were. This was different. The summer had given way to autumn and there was a chill in the night air. He wrapped his arms round himself for extra warmth or maybe just to give himself courage. He thought fleetingly of turning back but he knew he wouldn’t be able to stand Vasilli’s taunts of ‘chicken’ the next day. All he had to do, he reminded himself, was cut through the woods at the back of his house and meet his friend in the den. Just then, as if giving him a signal, the moon came out from behind the clouds illuminating the woodland path. He set off at a run, not wanting to be late. Once he reached the safety of the den, they’d have a good laugh about what a great game it had been. An owl hooted in the branches above him almost scaring him silly. It felt so different at night. Every sound was magnified a thousand times, making him alert to every eerie sound. Little creatures scurrying around made the leaves underfoot rustle. Twice now he’d thought he heard someone following him but when he stopped there was no one. Only a few more metres to go and he’d be safe. Thanks for visiting today, Julie. 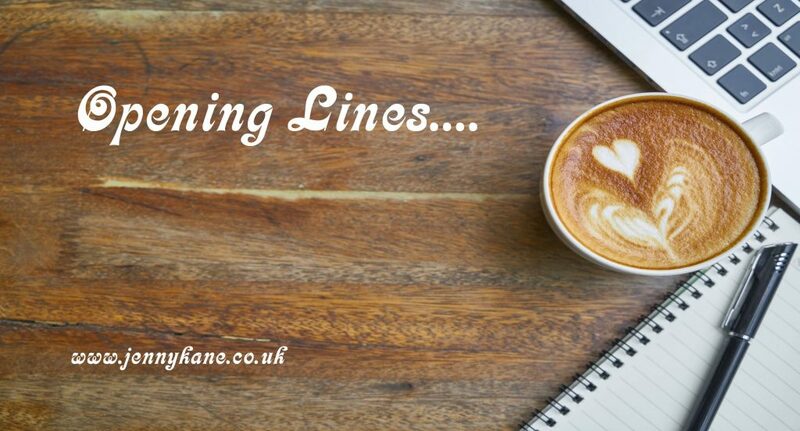 Come back next week to read some more opening lines.